It has been a devastating week for the Philippines. After Typhoon Ondoy (Tropical Storm Ketsana) caused devastating floods earlier this week, the area is now being threatened by Typhoon Parma. ASKI have also sent some interviews with clients as to the effect of the floods on them, which help to shed some light on the way this event has affected the locals on a personal level. As we receive more updates, we will be sure to share them with the community. 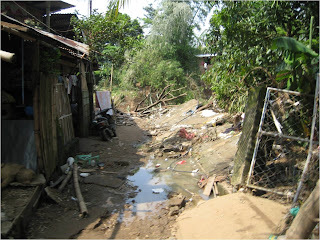 Some of our clients were really affected by the recent typhoon Ondoy. They were devastated by the soaring flood, landslides and as a result of which they lost their houses, belongings and businesses. However, they were thankful that their lives and their loved ones’ were not taken away by Ondoy. The fear they had during the time was so strong that they do not want to experience the same feeling and situation anymore but life goes on and they must move on. The fact that they are still alive is a sign that they must continue with their lives. Yes, it may be hard to start again, but it is still possible to regain what they lost. What did you feel when you saw that the water is already entering your house? "I was very nervous when I saw the flood because we were all women in the house during that time since my sons and sons-in-law were all in their workplace. Because of the tension I felt we were not able to save any of our belongings." 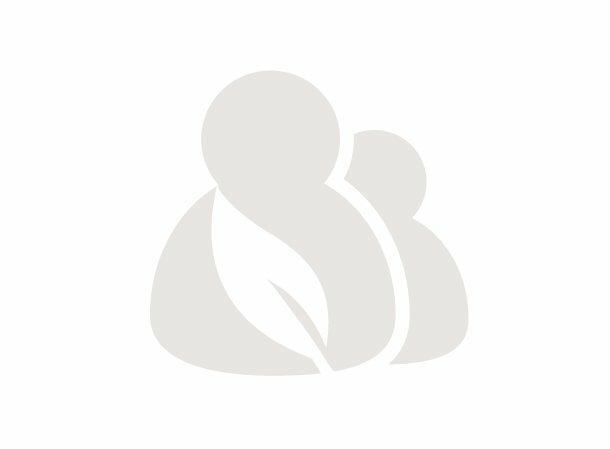 What are your plans after the flood? "We are currently staying in the nipa hut of my relative’s employer. We will build our own house – even just a nipa hut – and we will use bamboos in order to build this house. We will just get the bamboos in the nearby river because we have no other resources to purchase the materials for a new house at the moment." "It is really hard. We need to stay in other people’s house so that we will have a shelter at the moment. We do not even have clothes to wear. We need to ask help from those people whose house and belongings were not lost. We also do not have clean toilet to use. We have to find a toilet that is available so that we can take a bath and to answer the call of nature." "I am a factory worker in a tofu manufacturing plant and I was in my workplace when I heard about the flood and I was so shocked when I was told how fast the water is approaching our area and how big it has become. I ran so fast to reach my house in my aim to save our belongings but I was unable to save anything because the bridge which I will have to pass through had been wrecked by the water. I had no choice but to stay wherever I was during that time. The following morning when the water had already subsided, I immediately went to our house. 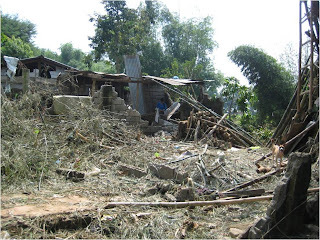 To my surprise, our house had been wiped out and no belongings nor clothes were saved." "We will pick up the pieces of wood and bamboos brought by the flood in our place and will use these to build a house where we can stay. We need to overcome this trial that has come into our life because there is nothing we can do but to accept this sad reality." "It is really hard and very sad because we do not have clothes to wear and we only expect help from our neighbors who were not affected by the flood." "I was so fearful at that time and what I did was to save my children who are so young. 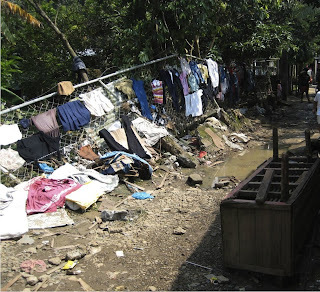 I can’t do anything but to cry when I saw that my house was being wiped out by the flood." "The municipal office told us that they will provide assistance to us but until now we have not received anything from them, that is why we will try to repair the remaining parts of our house so that we can somehow stay there." Emotional effect of this situation in your life? "It is really hard because we have no house to stay at and we are now like beggars who are just expecting for other people’s help." "I was so afraid and nervous when I saw the water because that was the only time we experienced such big flood. I almost drown when I tried to save our belongings because the water became too big in just a span of time. I was so thankful to be saved by my neighbor who saw me when I was almost drowning." What are your plans after this flood? "We will rent an apartment and will start again. We will begin a small piggery in our backyard to regain what we lost." Emotional effect in your life? "I felt so devastated because I almost die. It is not easy to lose your house and not to have clothes to wear. Moreover, you need to always expect for what other people will give you." What did you feel when you saw that the water was already entering your house? "The 20 pigs in my piggery were drowned. All my investment was in that piggery business and the money I used in that was only borrowed. The person who was in charge of taking care of the pigs had a heart attack and was also a victim of the flood in Marilao. Because of my depression, I became so sad that I caught myself staring to no one or nothing in particular." "I just stared blankly everytime I was thinking of what happened. In order to avoid this, I just clean the house and forget it for a while. We will just ask for a calamity loan to start a new business and a new life at that." "The water was really unexpected. It came so fast that we were unable to save our belongings and even our stocks in the store were not saved. We were in our house during that time and because of the sudden flood we just stayed on top of our roof and stayed there until the rescuer arrived. We only improvised and connect the pieces of bamboo which were available in the site so that we can be rescued from the roof top. We are so sad whenever we think of the things that we lost." "We plan to start a new business to begin a new life and regain what we lost." What did you feel when the water is already entering your house? "I was really shocked when I saw the flood coming. I tried to save the stocks in my store but I was not successful because the water really was so fast and suddenly became so big that it reached the second floor of our house and we were trapped there along with my three children. We just cried hard and were so disoriented and frightened for we did not know if we would die at that moment. Until now I cried every time that memory crossed my mind because my one year old son was almost bitten by snake. The next time the Angat Dam will release water, we will immediately evacuate because I am now so afraid that I cannot afford to experience this again." "Most of the stocks in my store were damaged. I was able to sell those that were just slightly damaged and can still be sold. I plan to use the earnings from this to buy new stocks and regain my almost lost life."